It was the second infiltration attempt by an unmanned aerial vehicle from the neighbouring country on Saturday. 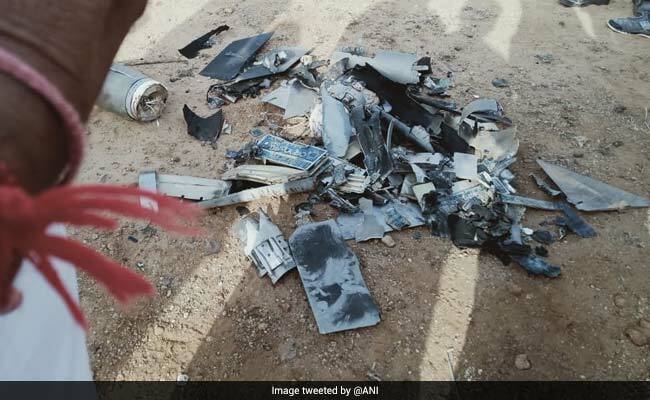 The Pakistani drone shot down by a missile in Gujarat's Kutch on February 26. A Pakistani drone that entered Indian territory through the Rajasthan border was shot down by the army's air defence wing on Saturday evening. It was the second infiltration attempt by an unmanned aerial vehicle (UAV) from the neighbouring country that day. According to sources, air defence wing personnel successfully tracked the drone through radar and brought it down around 7.30 pm. It had tried to enter India through the Ganganagar sector along the India-Pakistan border. Another drone that tried to enter India through the Hindumalkot border near Sriganganagar earlier in the day was forced to turn back after Border Security Force (BSF) personnel opened fire at it, news agency IANS reported. The previous infiltration attempt occurred around 5 am, it quoted a BSF official as saying. Villagers residing along the western border heard heavy firing during this period. On March 4, a Pakistani surveillance drone was reportedly shot down by a Sukhoi-30MKI of the Indian Air Force in Rajasthan's Bikaner. The fighter scored the kill using an air-to-air missile after the intruding drone was detected through radar. Even on February 26, a UAV was taken out over the Kutch region of Gujarat by an Israeli-designed SPYDER surface-to-air missile system. The drone sightings come in the wake of a dogfight between the air forces of India and Pakistan on February 27, a day after India launched an aerial strike on a terrorist camp in the neighbouring country's Balakot.